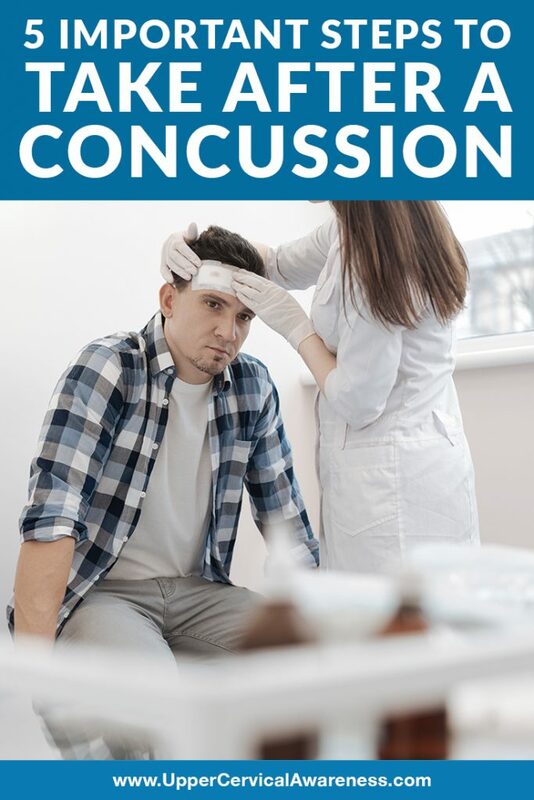 A concussion is a traumatic injury to the brain that is estimated to affect upwards of 3 million people across the United States on a yearly basis. Your brain, which has a gelatin-like consistency, is cushioned from everyday bumps by the cerebrospinal fluid inside your skull. However, when a blow to the head, neck, or upper body occurs with sufficient force, it can cause your brain to rapidly shift back and forth against the inside of the skull causing a concussion. Rest your brain – Your brain just sustained an injury, and just like you would rest an injured limb, it’s critical to rest your brain. Overdoing any normal, day-to-day activity can overstimulate your brain when you’re healing from a concussion. Using your brain to think, reason, make calculations, or learn something new can be very frustrating during the healing process and might even aggravate your condition. Processing information when healing from a concussion may also be slower. It’s ok to try activities like reading, watching television, texting, playing video games, etc., but if it causes a flare-up of your symptoms, then you should back off and rest before returning to them. Resting your brain may require a temporary hiatus from school or work. Rest your body – It might be tempting for you to rush right back into your daily physical routine, especially as you begin to feel better after a concussion. If you’re an athlete, you might want to return to play sooner than your body is ready. Strenuous physical activity that elevates your heart rate might worsen post-concussion symptoms like headache, dizziness, and nausea. Light exercise such as walking, yoga, or riding a stationary bicycle, may be beneficial during the recovery process as long as it doesn’t increase your symptoms. Get ample sleep – Your body goes through stages of healing and repair while you are asleep, and your brain is no exception. Getting ample sleep is especially important for people who are recovering from a concussion. It is common for simple, regular activities like doing the dishes, walking the dog, or doing homework to feel more exhausting during the healing process. Try to maintain a regular sleep cycle by going to sleep at the same time each night and taking short naps throughout the day if needed. Identify and do your best to avoid triggers – During the healing process, you might find that there are certain factors that will worsen your symptoms. For some, environmental triggers like bright lights or loud noises will make them feel worse. For others, reading a book or watching television can cause an increase in pain or discomfort. Whatever your triggers might be, do your best to minimize or eliminate your exposure to them. This will help to speed up the recovery process after a concussion. Have your neck checked by an upper cervical chiropractor – When you’ve sustained a blow to the head strong enough to cause any concussion – mild, moderate, or severe – there is a very good chance that your neck also sustained injury. Upper cervical chiropractors focus on the uppermost vertebra in the neck, the atlas, which is positioned just beneath the skull. The atlas holds up the head and can easily become misaligned by a concussive force. A misaligned atlas can lead to the persistence of concussion symptoms such as headaches or migraines, vertigo, neck pain, tinnitus (ringing in the ears), and cognitive issues. Elaborating on our last point above, anyone who has sustained a concussion knows that getting back to feeling normal and participating in regular daily activities is their #1 priority. Healing from a concussion takes time and ensuring normal upper cervical spinal alignment can only serve to aid the body’s natural healing process to get you back on your feet and feeling better. Proper brainstem function – the atlas forms a protective ring around the brainstem when it is in normal alignment. The brainstem is the seat of many of the body’s vital functions, such as heart rate, blood pressure regulation, consciousness, and respiration. If the atlas is forced out of alignment from a concussive force, it can impair normal brainstem function. Normal blood flow between the head and neck – normal alignment of the upper cervical spine ensures that blood flow between the head and neck occurs optimally. Drainage and circulation of cerebrospinal fluid (CSF) – CSF, produced in the brain, cushions the brain inside the skull and also circulates throughout the central nervous system in order to provide necessary nutrients and carry away metabolic waste products. Abnormal CSF flow and drainage can result in many post-concussion symptoms. If you or a loved one is healing from a concussion, seeking out the care of an upper cervical chiropractor in your area should be part of a comprehensive healing plan. This is especially pertinent for those whose post-concussion symptoms are lingering for many weeks, months, or even years after the initial injury. To learn more about upper cervical chiropractic care and for help locating a practitioner in your area, browse our website for more information, success stories, and a list of upper cervical doctors near you.